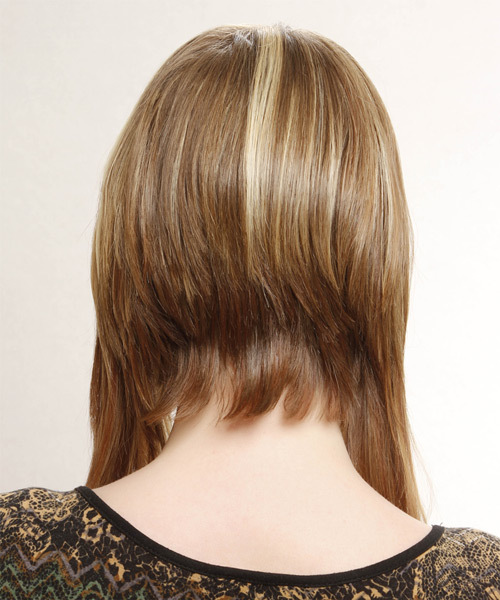 The back of this highlighted mane is tapered into the nape while the sides and front are angled down to achieve a concave shape best suited for those with fine to medium hair. This head-turning hairstyle has layers sliced through the front for shape and completes the over-all hairstyle brilliantly. Regular trims is needed maintain this style. Spray a little extra hairspray throughout to keep your locks straight all day.